The Macula Vision Research Foundation (MVRF) is a 501(c)(3) organization which has been dedicated to finding a cure for macular degeneration and other retinal diseases along with support services. As of June 15, 2018, all charitable donations will fund macula vision research projects led by the best and most promising scientists at the University of Pennsylvania – a world leader in eye research. 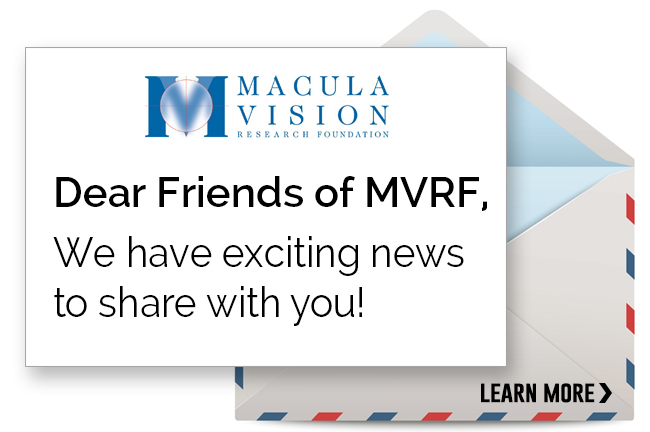 All checks should no longer be made out to MVRF but rather to The Karen and Herbert Lotman Fund of the Macula Vision Research Foundation.